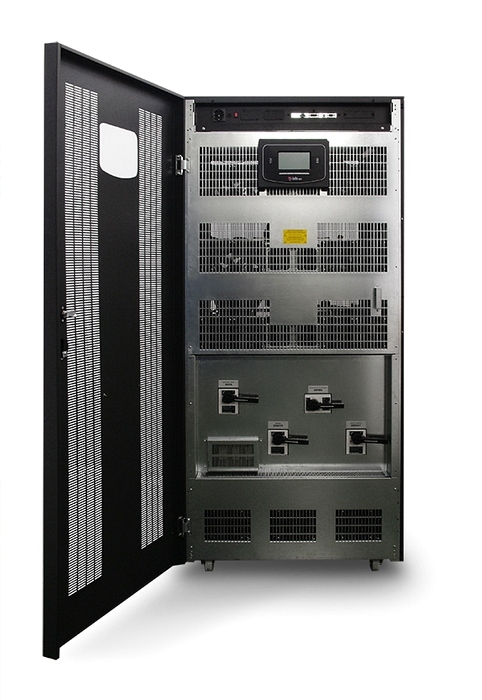 Riello UPS is pleased to announce the new Multi Sentry 160-200 kVA, the brand new models of high efficiency and ultra compact UPS of the Multi Sentry family. The unitary output power factor grants higher active power availability (+11% compare to UPS with pf 0,9). Furthermore, MST supplies capacitive loads with PF from 1 to 0,9 with no power downgrading applied; therefore it is suitable for any data center application with unitary or capacitive power factor (new server generations which commonly work between unity to 0,95 leading PF). In response to any tender requirement for UPS performances under leading/lagging load applied, MST operates properly whatever is the load power factor range applied. 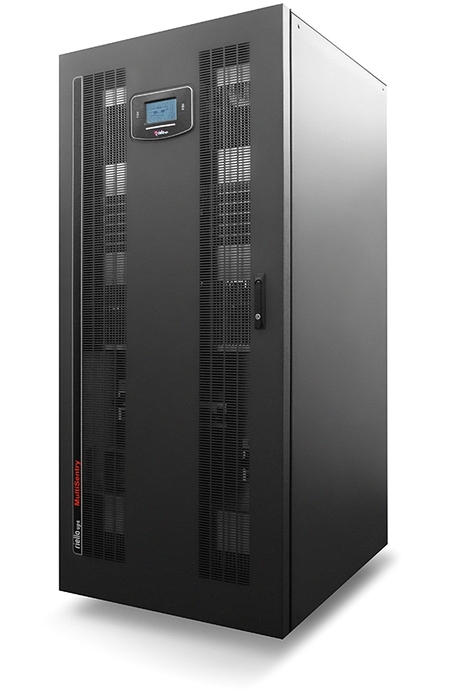 State-of-the-art three-level NPC inverters grants an overall UPS efficiency greater than 96%. Efficiency overcomes 95% starting from 22% load level guarantee high efficiency regardless the UPS load level; this result in minimizing the losses and therefore the energy cost at any operating load condition. Smart ventilation principle on MST 160-200 manages the number of operating fans and their speed according with room temperature and load level. So doing we preserve fan’s life span and at same time we reduce noise level and overall power consumption for unnecessary UPS ventilation.